Discover The Most Beautiful parts of Sweden from your luxurious beach front villa 30 minutes from the center of Stockholm. Newly renovated, the villa of 320sqm encompasses 3 reception rooms, 4 Double bedrooms, sauna and a relaxation room. 200m2 of terrace is surrounding the house, Allowing for sun from Every Angle and a single view of the archipelago 270dgr. You Will Have your own dock with space for two yachts. The 2000m2 garden includes a safe beach for children. 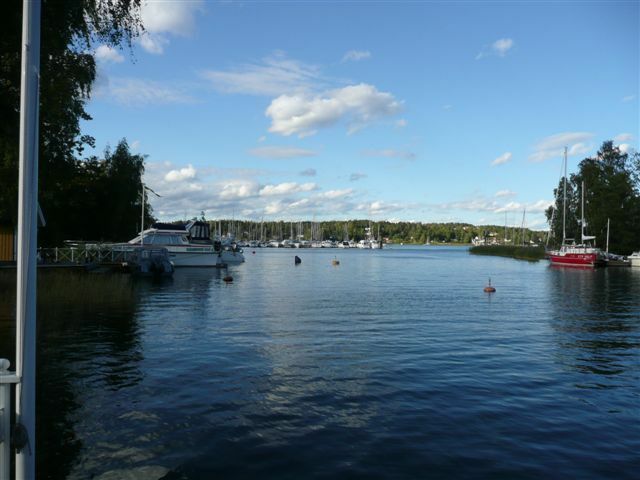 The villa is Located in the picturesque town of "Österskär", only 30 minutes from Stockholm's international airport, 30 minutes from Stockholm Center and 10 minutes from local shopping, bars and restaurants. All amenities can and equipment (trampoline, gas and wood bbq, lounge furniture on the terrace, gas heater, 100% Miele Kitchen and granite work tops. Dining table seats 14. This home can accommodate a large family or group of friends. Many separate seating areas, lots of windows, and right on the water. I imagine that summer time would be ideal to fully enjoy this vacation home. Very nice house, not too far from Stockholm where you can easily stay at 8. Charming place with a wood hot tub and a sauna. Thanks. 9 nights in this big & nice house, directly on the lake in the nature . Very well equiped, we were 6 in four rooms and appreciated everything around. We rent a car and went to Stockholm easily, parking on the universitet and then with subway to Stockholm; We recommend this lovely house and the owner's disponibilty during all our days.